An organizing manifesto for the twenty-first century, Playbook for Progressives is a must-have for the activist’s tool kit. 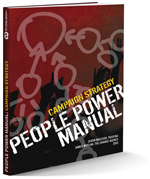 This comprehensive guide articulates pragmatically what is required in the often mystifying and rarely explained on-the-ground practice of organizing. 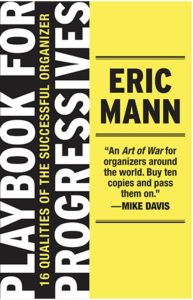 Here, Eric Mann distills lessons he learned from over forty years as an organizer, as well as from other organizers within the civil rights, labor, LGBT, economic justice, and environmental movements.